This post addresses why having a social media presence is a crucial part of growing your organization. It's part of our series on live streaming events. There may be nothing in history that has revolutionized our online behavior as much as social media. What started as a fun way to stay in touch with friends and family has grown into a medium by which organizations can share, learn from, and interact with their online audiences. Social media platforms have the power to increase brand awareness, drive prospects, convert leads and delight customers. Failure to leverage these platforms runs the risk of your organization becoming irrelevant online. This post is based on How to Leverage Social Media to Grow Your Organization. 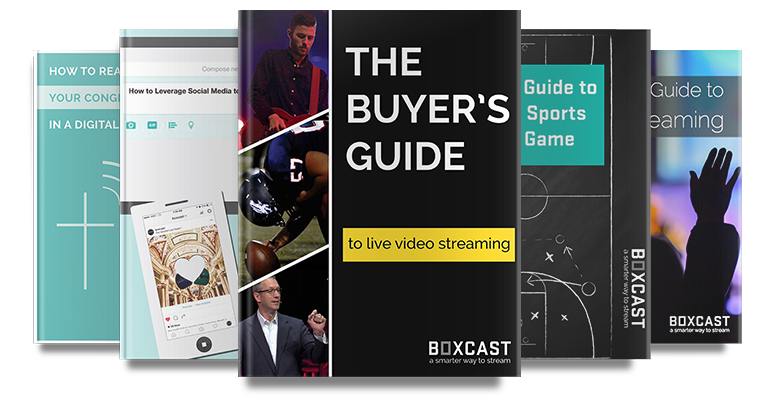 If you’re interested in learning more about these platforms and how they can help you reach your audience in a new and exciting way, download the free guide. In order to get the most impact out of your organization’s content, you should distribute content in the channels where it’s most likely to grab attention. It’s no secret that billions of people spend an enormous amount of time on social media platforms scrolling, liking, creating, sharing, and commenting on content. Simply put, it’s where the eyeballs are. Customers often reach out to organizations on social media to ask questions or report issues. Use these platforms as customer communication tools to respond quickly and directly to comments. Social media allows you to interact with prospects and customers and receive consistent, real-time feedback from them. Eventually, you’ll have a better understanding of your primary audiences (leads, customers, promoters) and can tweak your marketing efforts accordingly. In today’s Google-centric world, it’s important to understand how well your website ranks on search engines and what you can do to improve your ranking. Social media channels give your organization online credibility, improving your SEO by driving traffic to your website. Now that you have a solid grasp of why social media is important to any organization, it's important to understand how to use each platform. For specific insights on how to best use Facebook, Twitter, and Instagram, as well as what each platform means for your organization, download How to Leverage Social Media to Grow Your Organization.